It’s Canned Food Month, and canned ingredients can be key to having a versatile pantry that can help you whip up all kinds of dishes quickly, and they’re affordable! First up is a super simple and light Pumpkin Mousse that’s like pie without the crust. 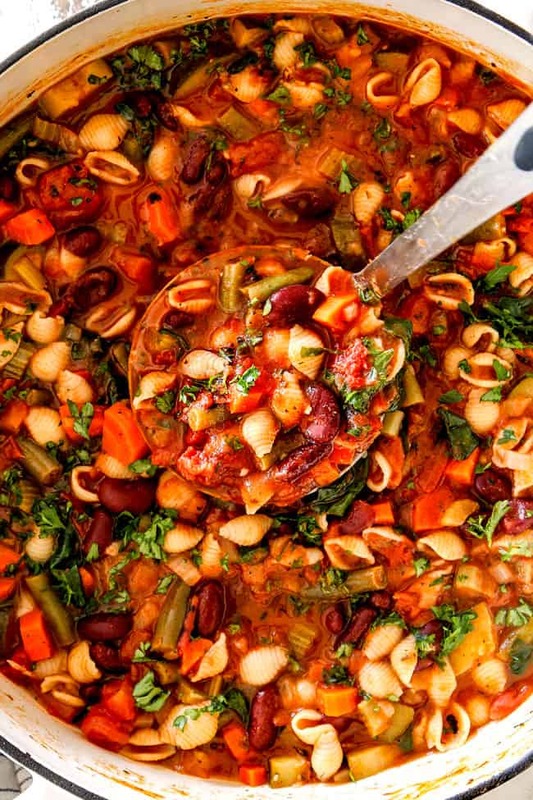 Make the most of canned beans and tomatoes and pack in the winter veggies with homemade Minestrone Soup. Hummus is a super simple dip that makes the most of canned chickpeas. Try these 4 flavors. Meal prep these Black Bean Breakfast Bowls for easy, savory breakfast all week long. 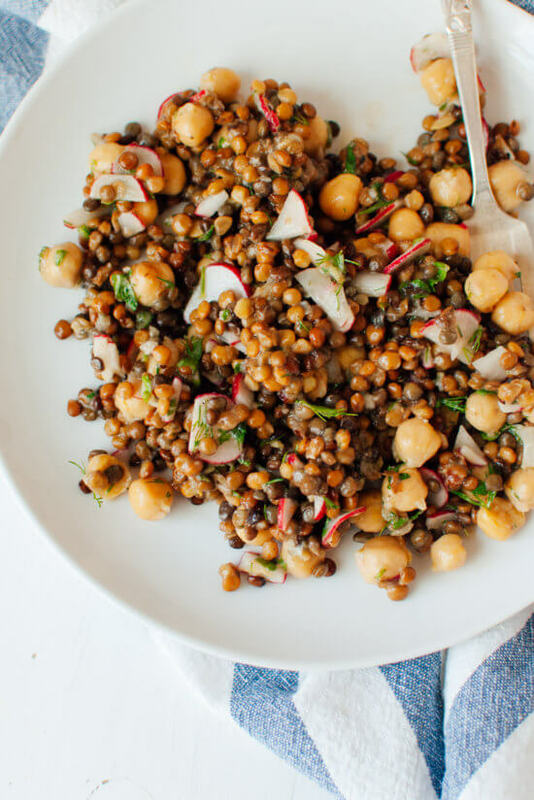 Whip up this Lemony Lentil and Chickpea Salad with Radish and Herbs for a hearty lunch or side. This Chipotle Ground Turkey Chili is the perfect meal to make out of your pantry’s canned goods. 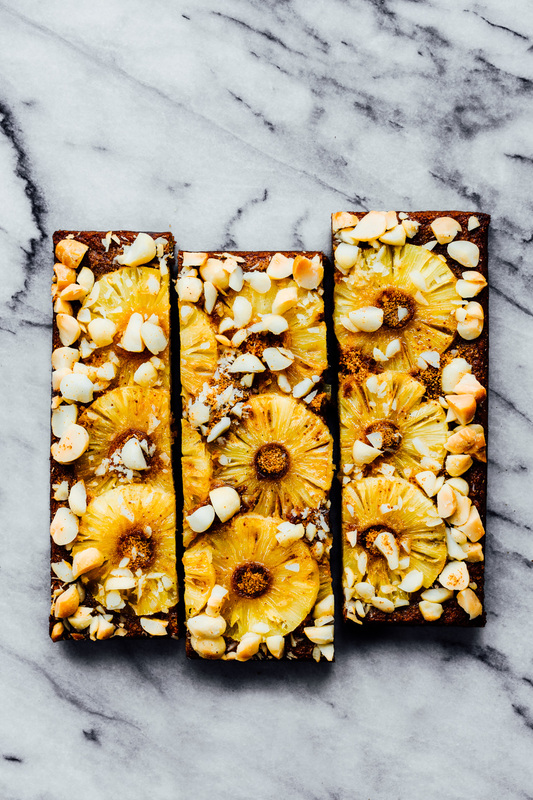 You won’t believe this gorgeous Coconut Pineapple Cake is made with canned pineapple. This week is National Health Center Week, so we had more info about finding these resources each day. The Champaign Urbana Public Health District’s website can connect you to local health resources and info and Board of Health info. The Francis Nelson Health Center in Champaign provides care to those who need it most and can’t afford it. Learn more about their services or help the cause. If you’re a University of Illinois student, McKinley Health Center is your first stop for all kinds of health information, including online classes. The Champaign County Christian Health Center offers free and quality health services. Learn more about making appointments, giving, fundraising, and volunteering. Avicenna Community Health Center has been providing health screenings and learning to the CU community since 2009. Learn about what they do and how you can help. While Medicaid in Illinois has expanded, there are other ways to get help too. Carle’s Community Care Discount Program helps people get the care they need. Looking for health centers across the nation? This government database can help! National Nutrition Month has been going on all March long. And while it would be great for everyone to commit to a healthy diet, it’s harder for some people to bounce back from bad food choices than it is for others. For older adults, those sugary and salty snacks can add up to a problem quickly. But you can help certain problems that get worse with age by making smart food decisions when you’re young and even when you’re older. Eating better can make a huge difference in your overall health. Studies show a healthy diet can reduce the risk of osteoporosis, high blood pressure, heart disease, and certain cancers. Here are some things for older adults and their caregivers to keep in mind. 1. Choose healthy foods that help you eat a balanced diet, and always drink plenty of water. Foods and drinks with empty calories, like soda and chips, don’t do you any favors nutritionally and don’t help you feel full. 2. Your food choices affect your entire body. Choosing whole grains, fiber, fruits, and vegetables and drinking plenty of water can help you stay regular and keep good digestive health. 3. If you have a specific medical condition, make sure you check with your doctor about foods you should include, like foods high in calcium, or things you should avoid, like those high in salt. 4. Don’t let your teeth or dentures stand in the way of eating meat, fruits, or vegetables. Visit your dentist to check for problems or adjust the fit of your dentures so mealtime is easier. 5. If you feel like food is getting stuck in your throat, you may not have enough spit in your mouth. Drink plenty of liquids when you eat for help swallowing, and talk to your doctor to see if a condition or medicine you’re on could be causing your dry mouth. 6. Make cooking and eating fun. Invite friends for a potluck where you each make and bring one part of the meal. Try cooking a new recipe with a friend or stage a cook-off to see who makes the better dish. Plan a date with your loved one where you cook a meal together. Have dinner at a senior center, community center, or religious organization for an affordable way to meet new people. 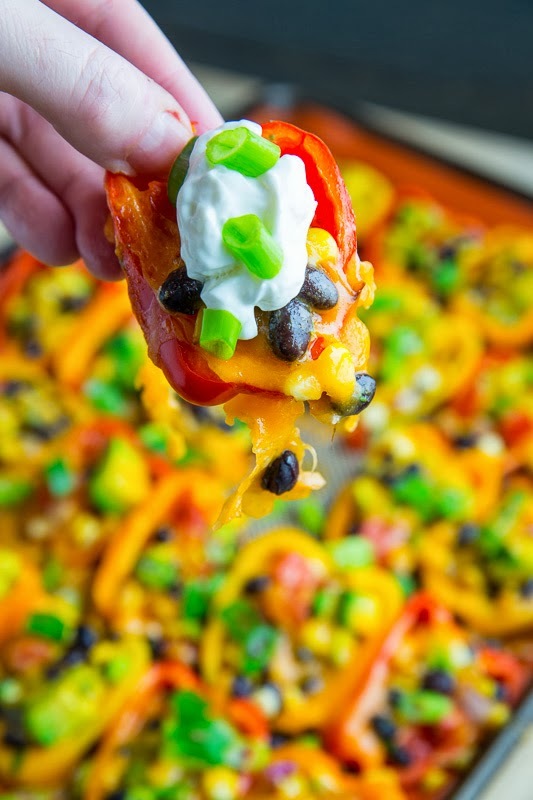 Follow us on Facebook and on Pinterest to find healthy recipes.